Here is the 2012 December Free Wallpaper. This month I thought I would get a jump on the wallpaper for a change. November’s was almost a week late and I wanted to make sure that it didn’t happen for two months in a row. The photo I captured was created almost a year ago, I was at Centennial Park in Tulsa, OK looking for nice compositions when I found this little guy. 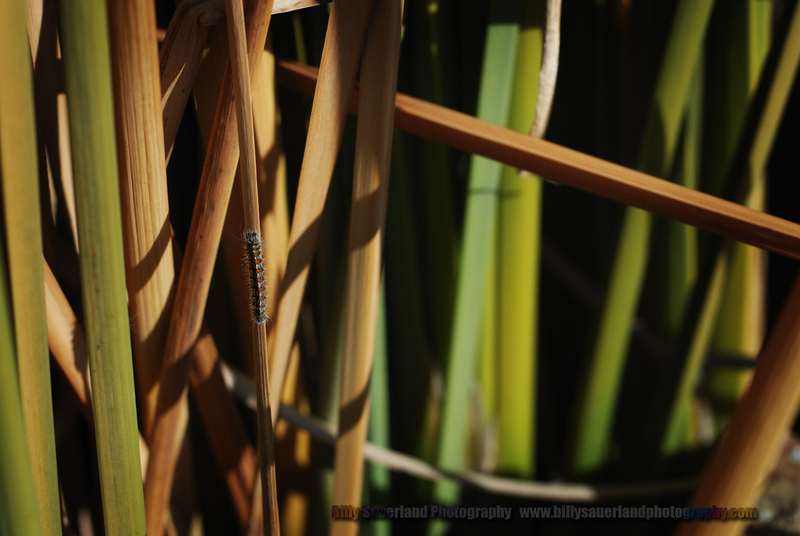 He was hanging onto the cattail for dear life. I was surprised to find him at all being it was in December. The winter had been unusually mild, later to be one of the warmest on record. I had climbed out on this rock wall near a waterfall, attempting to get closer to the reeds at the water’s edge. When I got to a fairly stable spot I steadied myself and began to compose a shot when I discovered this little guy. As I settled myself to make sure there was no shake that may blur the image, I watched him, there was no movement for sometime, then slightly he began to moved forward up the reed. A cool breeze came, he froze still trying to hang on for dear life. Waiting for the breeze to subside I looked around, realizing my position I imagined that I looked a bit the fool out here in the position I had gotten myself, but I figured that’s how it was when you are trying to get a shot you really want. Non the less the wind calmed itself, the reed came to rest and I captured my image. I hurriedly clicked off a several shots trying to make sure I got what I wanted. I hope you agree that I did. I hope you enjoy it. Remember click it, save it, use it! ← TEAR SHEET! & Da-Gram!